When an era outlives its ideals and all values change their signs and all that was once good becomes bad and vice-versa, at that moment art can become a new pillar of support for a dizzied world. But for that to happen the artist needs to be courageous enough to ignore public opinion, to disagree with both the old and the new consensus. This is an unachievable ideal, but you can at least make a heroic attempt. 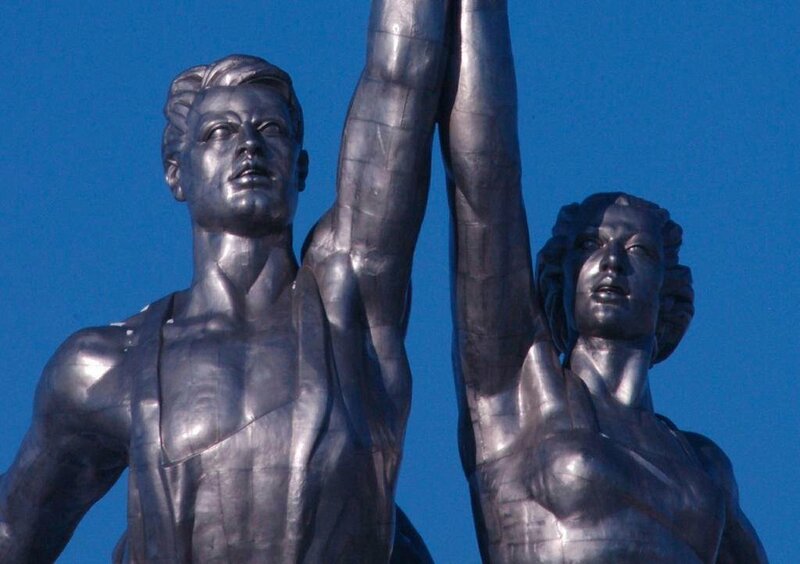 One artist who did try to make this ideal a reality was Georgy Guryanov, who died on 20 July, aged 52. Guryanov was a musician and artist who embodied the cult of the hero in an altogether unheroic age. 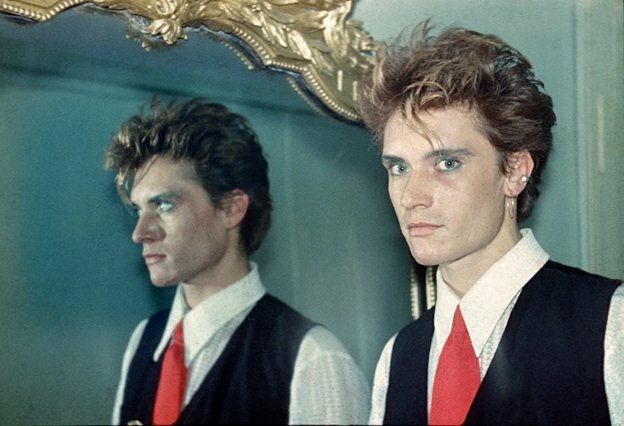 In the Eighties he started out as a rockstar — the drummer in legendary band Kino — before becoming a member of The New Artists, the non-conformist grouping around Timur Novikov, and one of the founders of the Club of Friends of V V Mayakovsky, an organisation dedicated to creative innovation. In the Nineties he continued to be involved with music, helping to organise some of Russia’s first raves, and became ever more established in the art world, serving as an honorary professor at Novikov’s New Academy of Fine Arts. Kino came to define the era of the Eighties with their song Changes! We're Waiting for Changes, which conjured the prospect of perestroika long before anyone even dared to dream of it. 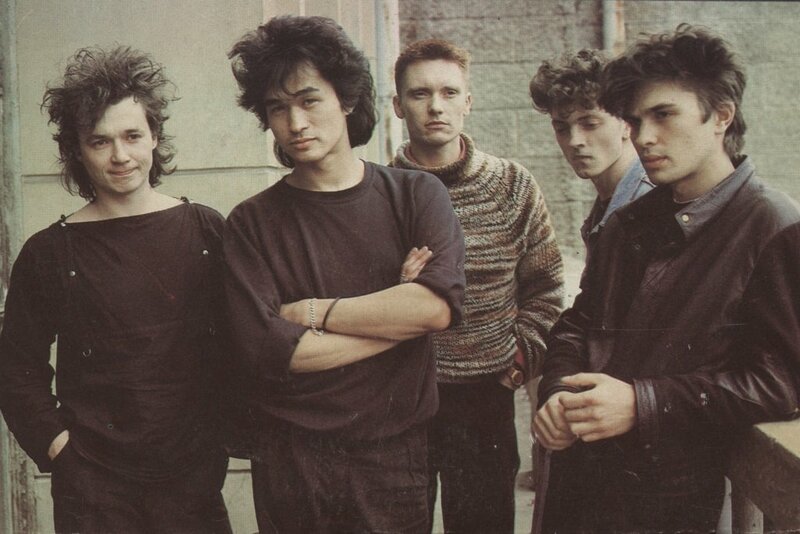 What’s more, they were style icons: this new brand of music, with its crisp rhythms, was perfectly matched by the image of the group dressed all in black and fronted by the romantic figure of singer Viktor Tsoi. Back then the refined aesthete Gustav Guryanov (as Georgy was known at the time) stood out: the way he played the drums, standing up, half-naked, was the embodiment of a certain aesthetic ideal of culture both musically and physically. The New Artists, lead by Novikov, looked back to the traditions of the Russian avant-garde, to the “everythingism” of Mikhail Larionov, who declared that all styles that had ever existed could be used for artistic self-expression. They propagated the cult of the first popstar of the Twenties Vladimir Mayakovsky and refused to recognise any opposition between official and non-official art. Guryanov’s artistic work was in dialogue with the art of socialist realism. But first there were his painted photographs of band mates in Kino. Like Andy Warhol’s photo-based portraits, Guryanov would photograph his friends, then crop and paint over the images. The New Artists actually became friends with Andy Warhol in 1985, thanks to Joanna Stingray, an American girl who moved to Russia and became a rock star, and who produced Kino’s groundbreaking US album release four years later. She brought Warhol some of the works of the New Artists as a gift; in reply, Warhol sent some of his books and some signed Campbell's soup cans addressed to the artists and musicians. Guryanov always treasured his can, which featured the words “To Georgy Guryanov. Andy Warhol”, but, as time passed, he had to take off the label. The can was rusting. Guryanov looked like Mayakovsky. 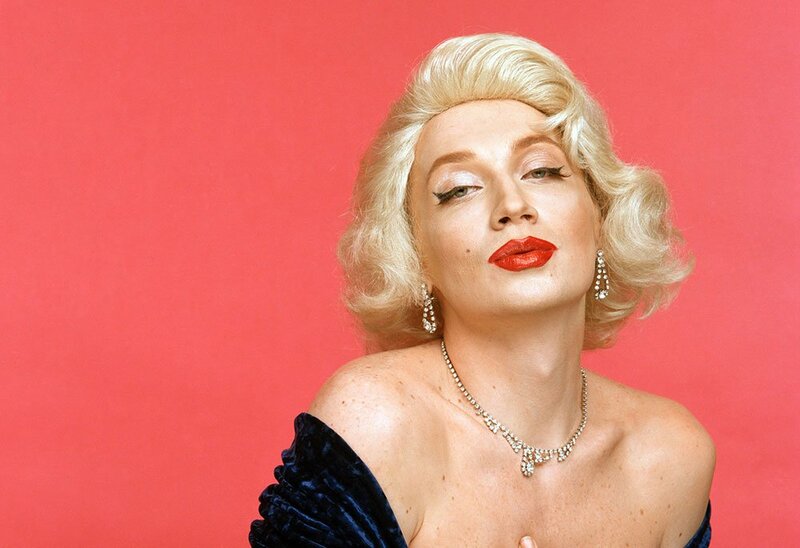 He even played the role of the Futurist poet in The Love Story of Marilyn Monroe and Vladimir Mayakovsky (1998), a film by New Academy artist Olga Tobreluts. But this was more than just a physical resemblance. Just as Mayakovsky became the first Soviet pop star in the Twenties, so Guryanov was the last hero of our era. It was heroism that was the main subject of his work. When he turned to the art of socialist realism in the Eighties, he found in it the corporeal realisation of an ideal. Inspired by the art of Alexander Deyneka and Alexander Samokhvalov, he created his own trademark style that united body and spirit. 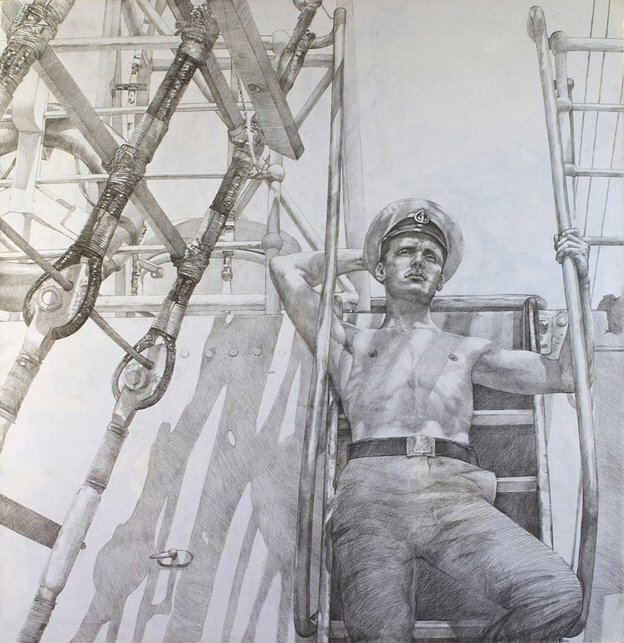 In his laconic, poster-like depictions, Guryanov presented images of pilots, sailors, female tractor drivers and sportsmen; each of them was the embodiment of an ideal function. But unlike the art of the Thirties, Forties and Fifties, the characters in Guryanov's paintings were not icons of ideology. He was creating a version of the sublime in and of itself. After all, these images arose at a time when grand narratives about social utopia, the imminent arrival of communism and the exalted style of socialist realism had come to an end, crumbling into fragments. 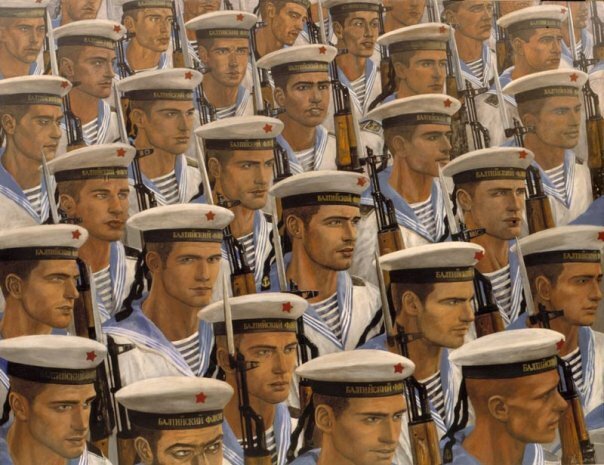 Guryanov's striving to tell a new story was in urgent demand at the beginning of perestroika and his work was shown at the most important international exhibitions. It helped us to rethink the recent past. 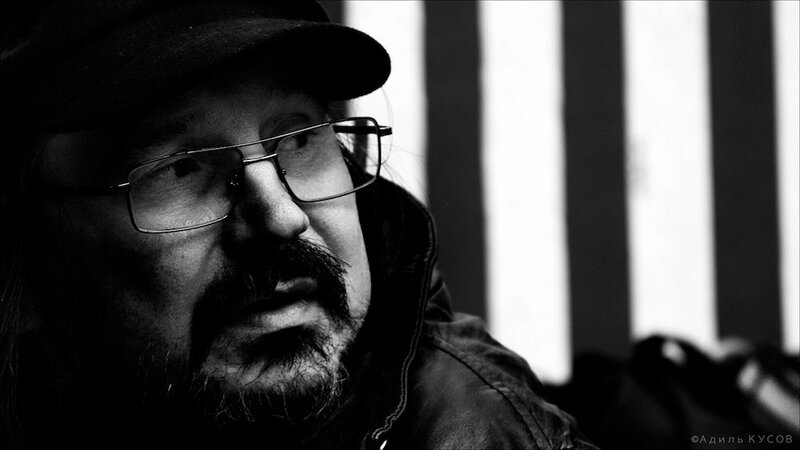 In the Nineties Guryanov took part in the campaign waged by Timur Novikov and his New Academy for the rebirth of classical traditions, and against the culture of consumption that was overwhelming post-Soviet Russia. Guryanov developed his own, New Academy style, oriented towards Greco-Roman traditions, which he used in his images of wrestlers, and in his own enormous self-portrait. Neoclassicism, combined with an emphasis on composition, became Guryanov's trademark. 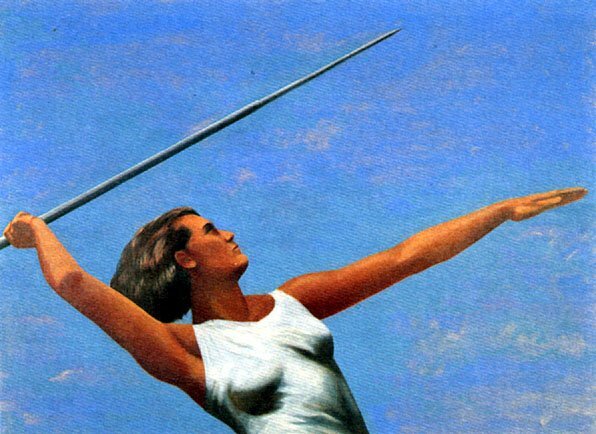 In 1987 Timur Novikov painted a portrait of Guryanov as a naked athlete holding an oar, which he called A Strict Youth. Guryanov’s interest in heroism prompted him, and other New Artists, to find inspiration in Abram Room's suppressed film classic A Strict Young Man (1935), both in form and content. The composition of the shots in the film has a sculptural quality, reminiscent of Roman reliefs, and at times the use of unlikely angles recalls the photography of Alexander Rodchenko, thus fusing classicism and the avant-garde. The film’s hero is a good-looking sportsman and Komsomol member who poses questions about the ideal builder of a new society and about love in a classless society. In 1994 Guryanov produced a series of pictures based on the film’s stadium scenes. 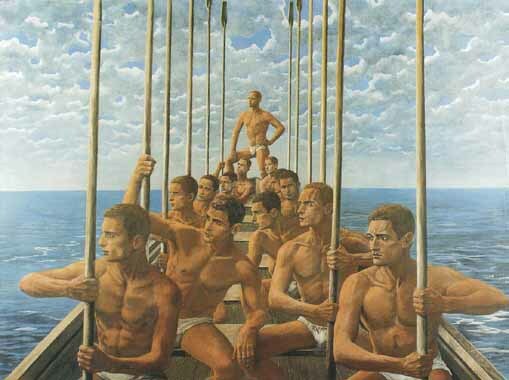 Many of Guryanov's works have an element of self-portrait about them, and not just because they feature him and his friends, who can all be detected in the severe, handsome faces of the athletes or sailors of the Baltic Fleet, but also because they are narcissistic. This, however, is narcissism in search of an ideal, narcissism that allowed Guryanov to take a bold look into the mirror of art and leave his reflection there forever.